Meta-analysis is a series of systematic approaches for synthesizing quantitative research. Since its introduction in the early 1980s, statistical and methodological aspects of meta-analysis have been substantially refined and advanced. This volume brings together researchers from mathematical statistics, research methodology, medical and social sciences who present new developments and applications of meta-analysis. The unique and common problems of these different fields as well as some proposed solutions are presented. The first part of the book is devoted to statistical and methodological advances, with five chapters addressing important statistical issues that are currently under debate. 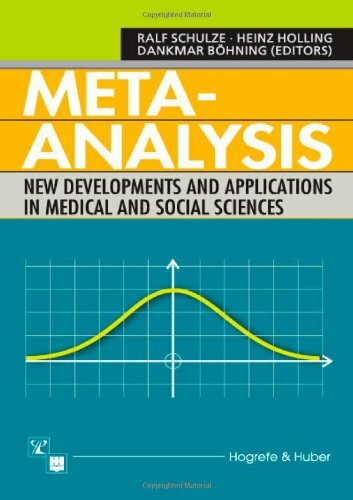 The possibilities and limits of the application of meta-analysis to generalize causal relationships or to evaluate medical treatments, for example, are also discussed. In the second part, applications of meta-analysis are presented, ranging from quality control in the pharmaceutical industry to attitudinal research in social psychology, illustrating the breadth of practical and scientific problems to which meta-analysis can be applied.